Better-tasting brews are not the only reason craft beer makers have disrupted an entire industry in recent years by claiming nearly one-quarter of U.S. beer sales. “Craft beer is organic, local and small,” says Elio Leoni Sceti, a co-founder of The Craftory, a $300 million investment firm based in London that is betting the next tectonic shifts in consumer behavior will be driven by the quest for positive impact. Leoni Sceti, along with partner Ernesto Schmitt, has parlayed a 30-year career in corporate brand-building at companies like Procter & Gamble and Reckitt Benckiser into an investment firm that is itself trying to break the mold of a consumer-goods company. Structured as a holding company rather than a venture fund, The Craftory’s “cause capital” comes from the private equity firm GP Investments and a group of wealthy families that made their money in fast-moving consumer goods. The Craftory’s first investment is in NotCo, a vegan foodtech startup based in Chile that is bridging molecular science with artificial intelligence to make “real tasting” vegan milk and mayonnaise. Bezos Expeditions, the family office of Amazon founder Jeff Bezos, tagged along in NotCo’s $30 million round. ImpactAlpha: How did you go from corporate brand-making to trying to disrupt the status quo? Leoni Sceti: I have 30 years of experience building brands, and what I’ve learned is that there is a deep connection between brands and consumers and how you manage that connection to develop brands over time. Over the last four to five years, 20% to 25% of consumers have decided that big brands don’t represent their values anymore. People care about the planet and health and respect. They can’t relate to big brands anymore. That relationship broke. Those big brands are going to be disrupted in a massive way. Leoni Sceti: There’s a big difference in the way new brands are launching. It used to be that new brands were cool because they were new. Then the moment they got bigger, they lost their coolness. But they were selling the same benefits as the older or bigger brands. Food was selling taste, personal care was selling care. Then a few years ago, some group of those new brands started talking about purpose. Purpose became a different benefit. They weren’t cleaning products, they were planet-respecting products that clean. That’s a new message, and that resonates with 20% to 25% of consumers that realized they were being cheated by consumer goods companies–that they were being sold consumption without the consequences. ImpactAlpha: How much impact can consumer goods brands really have? Is the market for nut milk and vegan “meat” limited to elite millennial consumers? Leoni Sceti: It’s not just millennials. I’m 53, but I have learned to respond to this type of message. Millennials just control the social voice more than others. They speak more, and more loudly. They’re active on social media, so a large number of people are exposed to their thoughts. We spent a lot of time electing our five righteous causes. As a consumer goods company, you can’t influence interfaith dialogue. You have to do the things that can be influenced by consumer goods. Those five causes are relevant to the space we are in. Every part of consumer goods impacts billions of people. [Dutch chocolate maker] Tony’s Chocolonely is trying to clean up the cocoa industry. They’ve demonstrated that you can make chocolate fair trade, and without human slavery. The have shouted that loudly. Now the Nestlés of the world are having to adapt to those standards. There will always be a space for the Unilevers and Procters because 80% of consumers want to buy predictable quality at good prices with delivery efficiency. We want to partner with companies that can raise the bar for the entire industry. ImpactAlpha: Is The Craftory an “alternative Unilever” in terms of how you invest in companies? Leoni Sceti: We don’t do 100% ownership. We don’t believe that 100% brand ownership, like Unilever and Procter’s model, is the only way forward. When a brand becomes aligned on the balance sheet and you manage it financially, it loses personality. Ernesto and I see Consumer Goods 2.0 as a house of brands that are founder-led and have a partner to amplify their impact through meaningful participation. So we decided to co-found The Craftory to create this house of brands to maximize the impact of their mission. [The Craftory] offers permanent, early-stage and growth capital–Series A or B. We could take a 30% stake or a majority. It has to be a meaningful share that allows us to be partners with the founders and be at the table making decisions on how to grow. I think this will be Generation 2.0 of multinationals. ImpactAlpha: You raised $60 million from private equity firm GP Investments. Where did the rest of the $300 million come from? Leoni Sceti: The rest is private wealth. Big fast-moving consumer goods families who understand the market well and have been part of big companies and want to see and learn from where the market is moving. That money isn’t coming from the people who manage those companies, who have run them in the wrong way. ImpactAlpha: You’re set up as a holding company so you could be free from the restrictions of venture capital funding and exits. Are you under any obligation to return capital to your investors? Leoni Sceti: Obligation, no. Moral obligation, yes. I’m doing this to prove there’s value in what I’m saying–in purpose-driven brands. New brands will fade as ever. For purpose-driven brands, their value is in their sustainability. The more you scale them, the more impact they have and the more valuable they become. ImpactAlpha: How does your first investment, NotCo, demonstrate that? Leoni Sceti: We landed on NotCo as our first deal [because] it’s purpose-driven, plant-based and delivering good health. The artificial intelligence, though, is the opportunity to bring scale to what they do. Three things hit us strongly when we met them. First, the founders are exceptional. As ever, human capital is the most important thing. [NotCo] has great founders with complementary experience. They’re motivated and driven by the purpose; they’re genuine, authentic and smart. Second, compared to other companies that are selling an organic nutrition bar, [NotCo’s] artificial intelligence could make this company the next Nestlé or Danone. They have an engine that goes across categories. You can go from dairy to meat to fish. You can create plant-based solutions for every food in the world. So the power that this intelligence allows for scaling-up is significant. Third, is their purpose around non-animal proteins. They’re making only plant-based foods, but because of artificial intelligence, they have the perfect taste. They can make an organic replica of any taste you want to copy. ImpactAlpha: Amazon is an e-commerce, consumer products behemoth. How does having Bezos as a co-investor mesh with The Craftory’s own brand? Leoni Sceti: In life, you have to be pragmatic about what enables your goals to be achieved. That’s scale in this case. The more plant-based foods you can sell is a good thing. A partner that helps that happen faster, that’s a good thing. We’re not here to express judgements about the way that certain elements of Amazon do business. NotCo is in Chile and Chile isn’t a big market. They just launched in Brazil, and we will work with them to launch in the U.S. [Bezos] created an incredible machine, and so having [his firm] as a partner could help [Notco’s] products to scale. 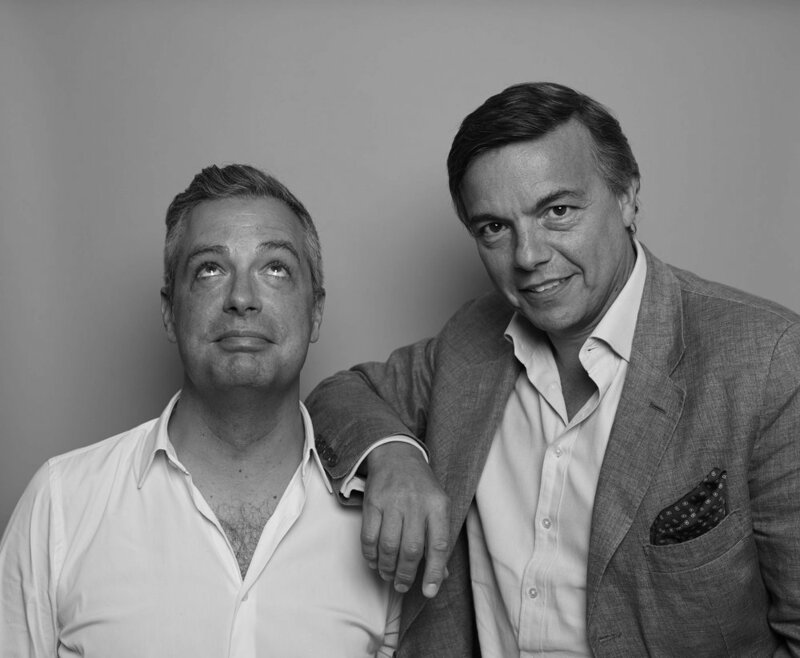 Elio Leoni Sceti is co-founder of The Craftory, the alternative investment house on a $300M mission to back the world's boldest CPG challenger brands.